Like so many industries today, banking is driven by technology. Modern bank customers expect 24/7 access to account services from any device they choose. Mortgage and investment customers are looking for fast, efficient turnaround of loan applications with instant updates and easy digital payment options. At a physical branch or ATM, responsive personalized service is a must. To meet high customer expectations, St. Louis-based First Bank has fully embraced digitalization, building a hybrid cloud IT infrastructure—a combination of private and public clouds—to run everything from its core banking platform and voice system to mortgage applications and productivity solutions like Microsoft Office 365. 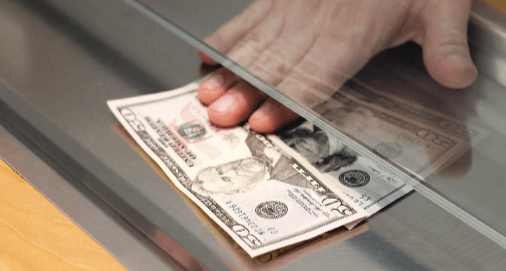 Naturally, the bank’s wide-area network (WAN) plays a pivotal role in connecting users across its 94 branches and dozens of ATM locations to these critical applications. However, as First Bank has grown, the amount of data traversing the WAN outpaced available bandwidth. Marc Ashworth, First Bank’s Senior Vice President of Information Security, explains, “We had a pretty traditional MPLS network. It was not cheap, and because of the high expense, we were limited on bandwidth. Most sites had only a couple of T1 lines providing about 3 Mbps of throughput. That’s not a lot when you’re trying to push through a couple hundred megabytes of data. It just drowned the T1 lines." The EdgeConnect SD-WAN edge platform is enabling us to do many things that simply weren’t possible before. We’ll be saving over $1 million per year compared to our previous MPLS network. When Ashworth joined the bank in 2017, his team had already been evaluating SD-WAN as a potential solution to the bandwidth problem. But none of the vendors could meet a key requirement: reliably failing over from one circuit to another without dropping a voice call. So, Ashworth consulted Secure Data, a local IT solutions provider that he knew from a previous position, who told him about Silver Peak. Following the successful test, Ashworth and his team have since deployed 168 EdgeConnect appliances across all 94 branches, dozens of ATM locations, several home offices, and even in the data center of the cloud-based voice provider. Most sites are linked by bonded DSL and broadband circuits, or a pair of broadband circuits with LTE for backup—MPLS is completely gone. The EdgeConnect platform also enabled First Bank to retire its conventional branch routers, leverage the built-in stateful zone-based firewall to secure guest Wi-Fi access at the branches, and service chain with Check Point firewalls to inspect and verify security when accessing applications on either the private or public clouds. Greater bandwidth alone has increased application performance dramatically. In addition, First Bank implemented the optional Unity BoostTM WAN optimization to accelerate performance for things like HTTP traffic, file sharing, and branch backups. Ashworth reports that for backups in particular, Boost is achieving up to 98 percent compression, and for other applications 70 – 80 percent compression. This translates to 35 percent higher application performance on average. Consolidating on EdgeConnect has greatly simplified the WAN edge, saving time and money. Ashworth points out that from an administration standpoint, IT saves a lot of time because there’s no need to worry about additional configurations, updates, or maintenance of separate branch routers and firewalls. Moreover, by centrally managing the SD-WAN through Unity OrchestratorTM, everything from new deployments to firmware updates and network monitoring is easier. Looking toward the future, Ashworth sees additional opportunities to benefit from EdgeConnect. For example, deploying the EdgeConnect platform in the bank’s private cloud providers will allow Ashworth to replace expensive private circuits with broadband, cutting monthly expenses another $10,000 per month per circuit. And with the cloud providers having dual active-active data centers for assured disaster recovery, he can then enable the branches to break out directly to the private clouds, reducing latency by eliminating extra hops through the First Bank data center. St. Louis-based First Bank is a full-service bank offering deposit and loan accounts, mortgage services, and wealth management for residential and business customers through 94 branch locations across Missouri, Illinois, Kansas, Nebraska, and California. Established in 1910, First Bank has grown to become one of the largest family-owned banks in the U.S. while remaining committed to providing caring, personal service throughout the communities it services, continually striving to make its clients feel like part of the family.